Here is a method to recover accidentally lost data from Smart phone, Flash drive, Memory card etc. The rescue procedure is simple and you can transfer the data including images and video to the PC drive. 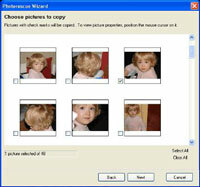 The Photo rescue software is ready for that and within minutes you can see the vanished photos . Just follow the steps.